It took me a while to come up with the pairings I wanted and even then I do not think it came out quite right. I wish I had a better purple for my index finger. 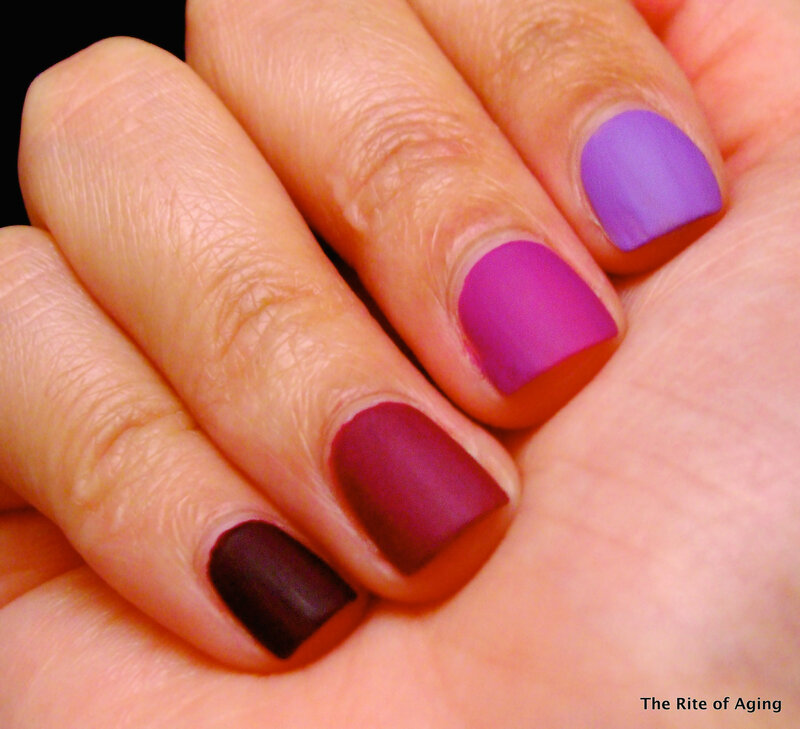 In order of pinky to index finger – Sephora by OPI Caffeine Fix, Mrs. Can’t Be Wrong, Domestic Goddess and Milani Vivid Violet. I used Essie Matte about You to tone down shine and shimmer. This really helped tie the colors together.